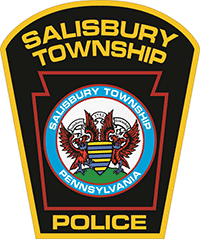 The Salisbury Township Police Department was created by an ordinance of the Township of Salisbury Board of Commissioners and began operations in 1958. The Department’s first patrol staff consisted of one Chief of Police and one patrol officer. The first police station (located in the Washington School on east Emmaus Avenue) was a small office and the “patrol fleet” had one vehicle. During the past fifty years, the Department has grown from two officers to a total of twenty (20) officers. Our officers provide twenty-four hour response to all types of emergency calls and calls for service for our 13,500 residents and a 40,000 person daytime population. Three sergeants head three divisions. Patrol Division, Criminal and Fire Investigation, and Training/Administration Division. Our patrol staff is divided into two (2) teams, each supervised by a corporal. The patrol staff works a twelve (12) hour schedule, which allows us to place at least three (3) officers on the street for most of our shifts. We are fortunate to have a K-9 team, a full-time School Resource Officer and a traffic safety unit as part of our staff. Our officers are trained and equipped to respond to active shooter situations, medical emergencies, fires, nuclear emergencies, vehicle crash rescues, hazardous materials emergencies. Our Department is also tasked with providing Fire Safety/Life Safety inspections throughout our Township on an annual basis. We work closely with our Township fire companies and our Emergency Management unit to provide a coordinated response to all types of emergencies.